AE Aerospace was established in 1996 to service the aftermarket needs of the aerospace industry. Over time, the company has moved into New Product Introduction and now increased manufacturing volumes to support their customers’ Original Equipment assembly lines. 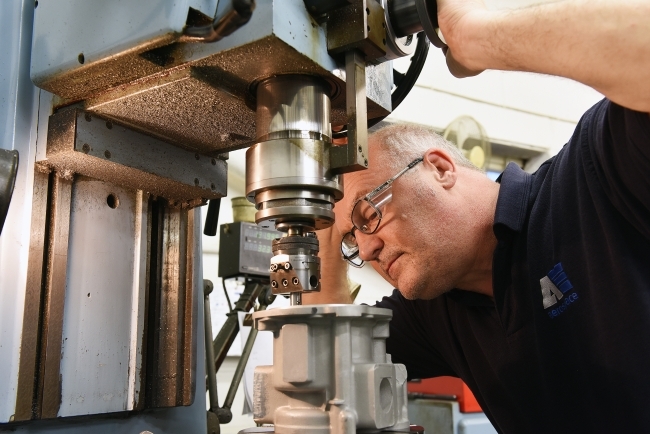 Over the last 20 years, the company has delivered a broad range of engineering solutions for prime manufacturers including Bombardier, Airbus, and Boeing, Tier One companies such as Rolls Royce and Siemens and Tier Two companies such as UTC Aerospace Systems, Moog, offering robust and dependable engineering packages, from concept to execution. What sets AE Aerospace apart from competitors is its ability to help customers get their products to market swiftly, without compromising on quality – a skill that’s in high demand as aerospace is a sector which is growing – with 34,000 new planes being built within the next 20 years. This continued demand in the sector means the company needs to be on top of its game when it comes to serving the industry. In this article, AE Aerospace Managing Director, Peter Bruch talks about their plans for future business growth and development, servitization implementation, Industry 4.0 and the use of a ‘glass factory’. 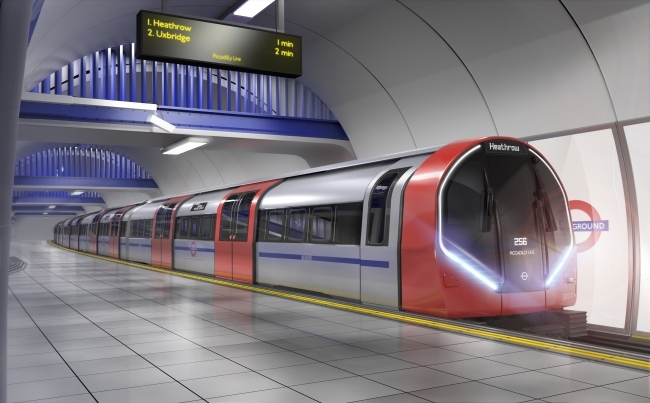 Transport for London (TfL) has confirmed its intention to award Siemens Mobility a contract of around £1.5bn to design and manufacture 94 new, state-of-the-art ‘Deep Tube’ trains to serve the Piccadilly line in London. Twenty two UK suppliers have already been identified in the bid to potentially work with Siemens Mobility on the build of the trains. In addition, at least 50 new apprentice and graduate positions could be created. 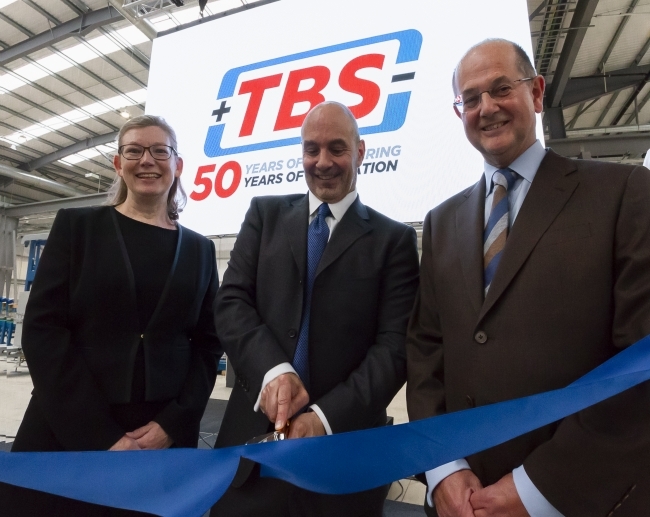 The news comes after Siemens announced in March its intention to establish a new factory to manufacture and commission trains in Goole – and the awarding of this contract is a significant step allowing Siemens Mobility to progress its plan. The Siemens Mobility factory would employ up to 700 people in skilled engineering and manufacturing roles, plus up to an additional 250 people during the construction phase of the factory. 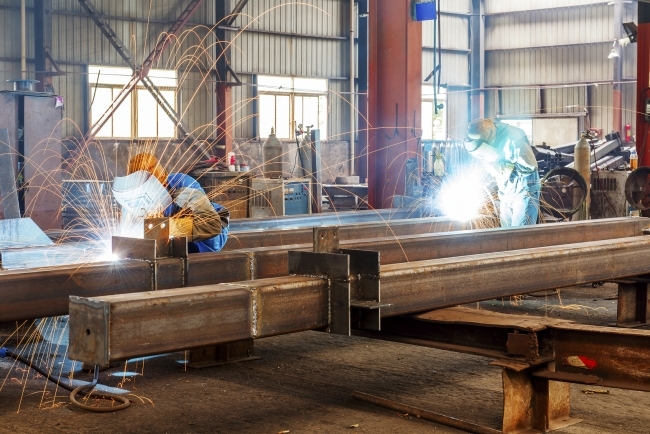 As a result, around 1,700 indirect jobs would be created throughout the UK supply chain. This order – the first under the Deep Tube Upgrade Programme – will mean the replacement of the entire 1970s Piccadilly line fleet. From 2023, 94 new state-of-the-art Inspiro trains will be delivered on the Piccadilly line enabling up to 27 trains-per-hour (tph) to operate at peak times by the end of 2026 (up from the current service level of 24 tph). The new trains will have a host of new design features that will significantly increase customer comfort, and will be six metres longer than the existing Piccadilly line trains. While this order is for an initial 94 trains, the contract will be awarded on the expectation of a single manufacturer building the trains for all four Deep Tube lines. Creating a single train design will allow TfL to maximise cost savings through greater standardisation of train operations, staff training, equipment, spares and maintenance. A new £56 million UK innovation centre, which will revolutionise how medicines are manufactured, is to be located in Renfrewshire. A world-first, the new industry-led Medicines Manufacturing Innovation Centre (MMIC) will offer pharma companies, from start-ups through to multinational organisations, a unique service to develop and adopt novel manufacturing techniques to adapt into their own manufacturing processes. By transforming processes and technologies, the speed of bringing new drugs to market could improve drastically. With a global market worth £98 billion, this investment will help put the UK, and Scotland, at the forefront of technology and innovation in small molecule pharmaceutical and fine chemical manufacturing which still makes up the bulk of how new medicines are made. 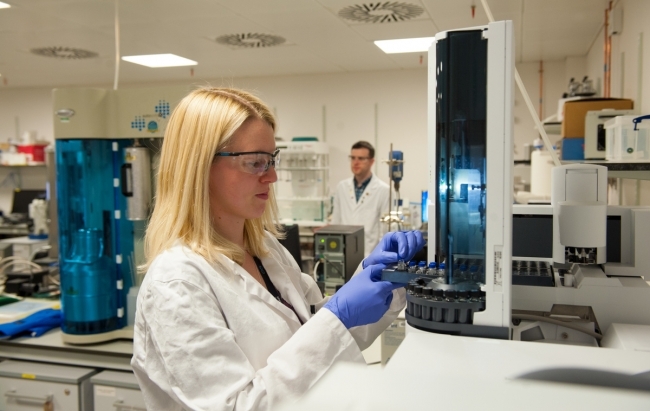 The pharmaceutical sector in Scotland employs 5000 people directly and supports a further 16,500 jobs. Supported by Scottish Enterprise (£15 million), UK Research and Innovation, through Innovate UK (£13 million) GSK and AstraZeneca (£7 million each), the MMIC is one of the early projects across the UK to receive funding from the UK’s Industrial Strategy Challenge Fund. The MMIC aims to attract over £80 million of R&D investment by 2028 and will create 80 high value jobs directly by 2023. Up to 90 jobs will also be created or retained in companies involved in the design and build phase and post-construction. A world record-breaking bridge made from 200,000 Lego bricks has gone on display in Glasgow. The suspension bridge, which is the length of almost three double-decker buses, holds the Guinness World Record for the longest Lego brick bridge. It has been brought to the St Enoch Centre in Glasgow by the Institution of Civil Engineers (ICE) to mark its bicentenary and Scotland’s Year of Young People. People can visit the structure from Saturday when it officially launches to coincide with International Women in Engineering Day (INWED) and Ice’s Explore Engineering weekend. Designed by Dr Robin Sham, the bridge was first assembled in London in 2014 and has been displayed in Liverpool and Hong Kong before arriving in Scotland. The structure, which is three metres tall and spans 31 metres, was re-built in the shopping centre by a team of specialist civil engineers working through the night. Sara Thiam, regional director of ICE Scotland, said: “Giving young people the chance to see the bridge, learn about how it was designed and built, and meet some of the invisible superheroes behind it, will help them realise engineering can be a fun and inspiring career. Civil engineers directly transform our lives by designing, building and looking after bridges and many other everyday things that we often take for granted.” The bridge will be on display on the centre’s first floor from June 23 until October 28. Good process designers know that you dare not make assumptions about tool availability or working conditions. A consultant once lectured me that designing a new business process was like trying to construct a tower out of baked beans cans: the longer and more complex the process is, the more likely it was that the something would fail and the tower would come crashing down. It was always best (she said) to build isolated and controllable processes that can be chained together as-needed rather than to design overextended mega-processes where one glitch could cause the entire workflow to fail. She wasn’t wrong. Business Reporter’s resident blogger, Keil Hubert, shares the cautionary tale of an innocent worker who almost got himself crushed thanks to an easily-predictable process failure. Ocado, a British online-grocery company, is using air-traffic-control systems and AI technology to co-ordinate 700 factory robots. Its use of technology has made it a challenger to Amazon’s grocery-delivery business. Supplies of Heineken’s John Smith’s Extra Smooth and Amstel kegs have been hit by an industry-wide shortage of carbon dioxide. The CO₂ shortfall is leaving beer and fizzy drinks makers high and dry just as demand is peaking as fans gather to watch the football and barbecue season gets under way. Both seasonal manufacturing shutdowns and technical reasons have left the UK with only one big plant producing CO₂. “We’ve been informed by our CO₂ supplier that they are facing a major issue with supply availability in the UK,” Heineken confirmed in a statement. Wetherspoons pub chain said that while it had not had any supply issues yet, “that is likely to change in the coming days, and it’s not likely to get any better.” Carbon dioxide doesn’t just put the fizz into soft drinks, canned and bottled beers. It also delivers beer at the pub pumps and is additionally used to pack fresh meat and salads. It comes from ammonia plants that manufacture fertiliser. But as demand for fertiliser peaks in winter, manufacturers often shut down during the summer for maintenance work. The UK is particularly hard hit by the shortages, according to trade publication Gasworld, because only one major CO₂ plant is still operating and imports from the European mainland have been affected by shutdowns in northern Europe. Currently at least five CO₂ producers across northern Europe are offline for maintenance. Gasworld said carbonated drinks producers were now “desperate” amid the worst CO₂ supply crisis for decades. The UK is a large market for carbon dioxide and imports about a third of its CO₂ needs. It has a vast range of applications in industry, with one of the main uses being the manufacture of dry ice to chill airline meals.